own virtual ambassador, Liv, for the SUV New Renault KADJAR. It’s well known that everyone leads two lives these days: a physical life and a virtual life. “People have long contrasted relations with what is real and what is virtual. We differentiate between true and false, light and shade, etc. A whole area of our culture is founded on this point”, according to the sociologist Stéphane Hugon. This duality is over. The boundary is now becoming blurred between reality and virtuality, the real world nurtures the virtual world and vice versa. So why not reconnect the “virtual me” with the “real me”? 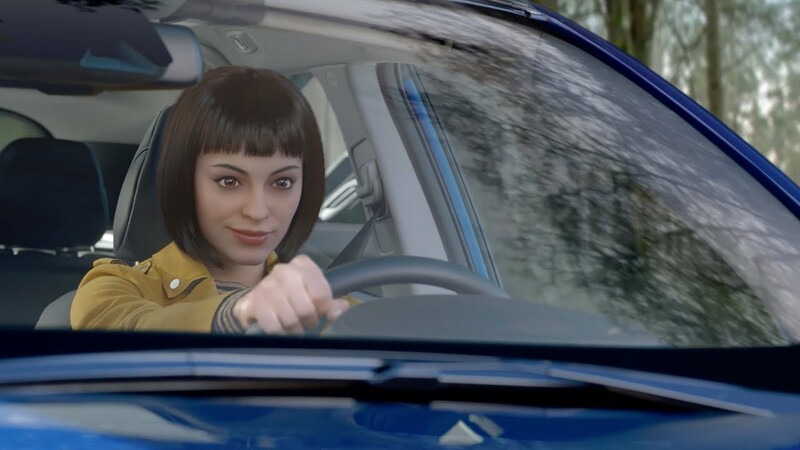 Why not imagine the next stage and a virtual being created through computer-generated images, which would be rendered more human through an intense human experience driving a new Renault model?